In Beijing and the surrounding area, the proportion of 'good air' days dropped 7.1 percentage points from last year to 50.7 percent, while the density of hazardous particulate (PM2.5) climbed 14.3 percent. Beijing, China: Chinese cities had fewer 'good air' days in the first half of 2017 compared to the same period last year despite government efforts to curb incessant smog, according to official data. 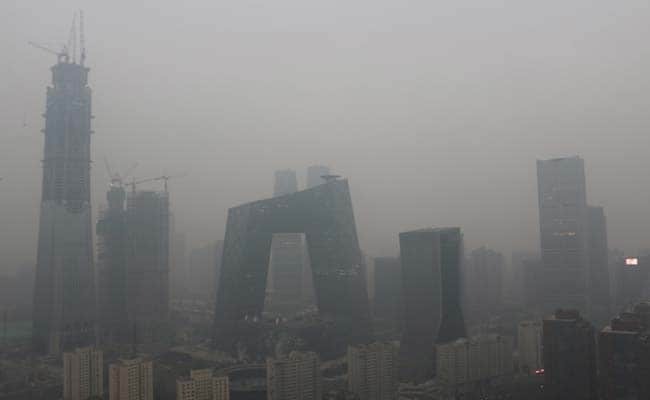 China has vowed to target coal-burning and vehicle emissions, increase investment in clean energy and punish polluters in a bid to improve the air quality of the world's second largest economy. But the measures had yet to bear fruit in the six months of the year. The Ministry of Environmental Protection's monitoring department said 338 cities reported 'good' or 'excellent' air quality on 74.1 percent of days in the first half, down 2.6 percentage points from last year. Residents of northern China were angered by the air pollution last winter after nearly a ninth of the entire country was smothered in severe smog mid-December. Public schools and factories were temporarily closed, while cars were ordered off the roads. "If (officials) turn a deaf ear or act indifferently, and the people, especially minors, are exposed to potential health risks, this is undoubtedly a dereliction of duty," Xinhua state news agency said at the time. Xinhua reported Thursday that in the first half of the year, 610 million yuan ($90.44 million) in fines were issued on environmental protection violations, up 131 percent year-on-year. Chinese Premier Li Keqiang pledged cleaner air during his annual press conference in March. "Blue skies should no longer be a luxury," he said, "nor will they be."